Free agency started in the NFL this week and while they have been relatively quiet, the Cleveland Browns have managed to make their share of headlines in the past few days. And in the process, the Browns may have discovered the franchise’s biggest asset. Hartline is a solid, if not spectacular, signing by the Browns and represents a younger and more durable version of Miles Austin. 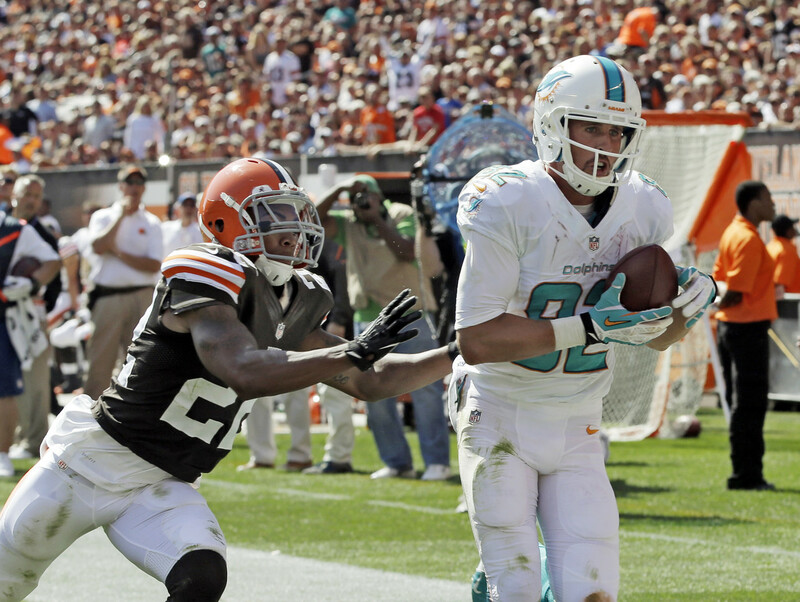 Hartline has only missed four games in his career (all in 2010), doesn’t turn the ball over (only three fumbles in his NFL career), has gained a first down on 71 percent of his receptions, and was a 1,000-yard receiver in both 2013 and 2012. Hartline’s numbers dipped last season as he was targeted just 62 times after being targeted an average of 127 times the previous two seasons. Wednesday on Sirius NFL Radio, Pat Kirwan said that was a result of Miami quarterback Ryan Tannehill’s inability to hit wide receiver Mike Wallace on the deep ball. Because of that, the Dolphins had to give Wallace the type of intermediate routes that normally went to Hartline. As friend-of-the-program Mike Burgermeister pointed out, the Dolphins’ offensive line was ranked 31st in pass blocking last season, so it may have been that Tannehill didn’t have enough time to let a deep pass play develop, leading to the changes. In any event, it sounds like Hartline’s drop in production had more to do with bigger issues on offense as opposed to diminishing skills. And if only puts up an “average” season this fall – 50 receptions for 700 yards — that would have been good enough for second best on the Browns last season. The Browns weren’t the only team looking to sign Hartline, who said that head coach Mike Pettine sealed the deal. That ability to make his players believe in his vision for the team is what makes Pettine the franchise’s biggest asset. And he’s the main reason that, given time, we’re confident he’ll get this turned around. Pettine’s focus and influence also ties into the two free agents the Browns lost this week on the defensive side of the ball. Jabaal Sheard is off to New England, but will the Browns still be OK? 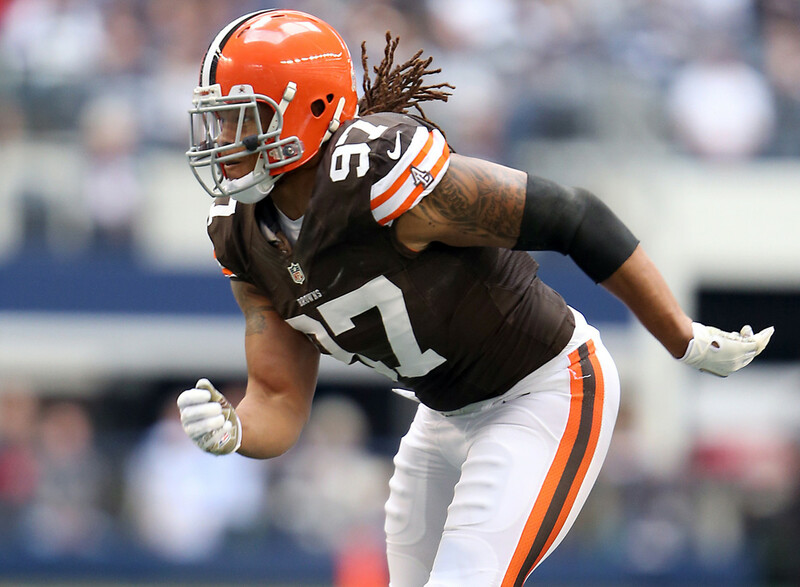 While we would have been OK with cornerback Buster Skrine (four-year deal with the Jets for $25 million, including $13 million guaranteed) and linebacker Jabaal Sheard (two-year deal with New England for $11 million, including $5.5 million guaranteed) returning, it is likely that Pettine had a major role in the decision to not resign either player. Pettine has a defensive background and, along with defensive coordinator Jim O’Neil, spent the past year with Skrine and Sheard in meetings, film sessions, practices and on game days. If after all that time Pettine and O’Neil truly believed that Skrine or Sheard were vital parts to what they want to do on defense, do you really think Pettine would have allowed them to leave town? Skrine was flagged for 17 penalties in 2014, was the second most targeted cornerback in the league, and got beat for eight touchdowns. You can never have enough defensive backs but with the other moves the Jets have made in free agency (and not forgetting they have former first round pick Dee Milliner on the roster) it’s hard to see why they felt the need to make Skrine such a rich man relative to his prior performance. It feels a little like a team with a lot of cap room are throwing as much mud at the secondary woes and seeing what sticks. A tad unnecessary and they could get better players for less money. Sounds about right. And let’s never forget that the Jets are not a team that anyone should be emulating. Ask Tampa Bay how good it feels to win in free agency. Which brings us to the bigger issue, one that we seem to talk about at this time every year — throwing around big money so that you can “win” in free agency is something that smart teams simply do not do. And we want, very much, for the Browns to keep on being a smart team. Look no further than last season, when Tampa Bay was widely heralded as the big winners in free agency after spending $143 million. 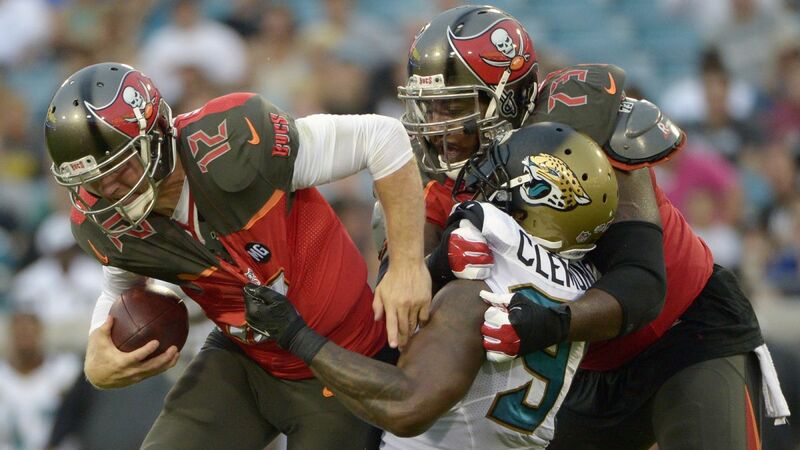 What did the Buccaneers get for that outlay? A pair of wins and the No. 1 overall pick in the upcoming NFL Draft. Making things even more fun, the Bucs have cut Anthony Collins, Michael Johnson and Josh McCown, three of the players who took home a share ($83 million to be exact) of that $143 million last spring. So tell us again, if you would, how important it is to “win” the free agency season? We’ve already seen teams go down that road this season, most notably a pair of squads in Florida. Jacksonville has already signed six unrestricted free agents, most notably tight end Julius Thomas, who agreed to a deal with the Jaguars that includes $21 million in guaranteed money. So which franchise would you rather the Browns follow, the Jaguars or the Packers? Maybe the Browns should be like the Dolphins, who won all the headlines by signing defensive lineman Ndamukong Suh to a deal that includes an NFL-record $60 million in guaranteed money. Let’s pencil in the Dolphins for the Super Bowl then, yes? Well, not so fast. While in Detroit, Suh played with quarterback Matthew Stafford and wide receiver Calvin Johnson and couldn’t win a playoff game. While Stafford is over-rated, he and Johnson are light years better than Tannehill and Wallace, so how is Suh going to go push the Dolphins over the top? Those kind of moves may excite the fan base, and keep your local beat reporters from spewing nonsense, but they don’t translate into wins. Sam Bradford, minus his ACLs, is off to Philadelphia. Speaking of over-rated quarterbacks, let’s wrap this up with a brief look at the Sam Bradford for Nick Foles trade that went down this week. We’ve seen talk that the Browns should have been in on this deal, either for Bradford or Foles. On the Foles front, the Eagles clearly wanted a quarterback in return for the deal so who, exactly, were the Browns supposed to include to make a deal work with the Eagles? While it would be nice to think the Browns could have pawned off Johnny Manziel on the Eagles, we’re not sure Chip Kelly is that crazy. As far as Bradford goes, we’re still waiting for someone to explain why it would be good for the Browns to trade for a quarterback who has twice torn his ACL, has only played seven games in the past two seasons and is owed $13 million this season. 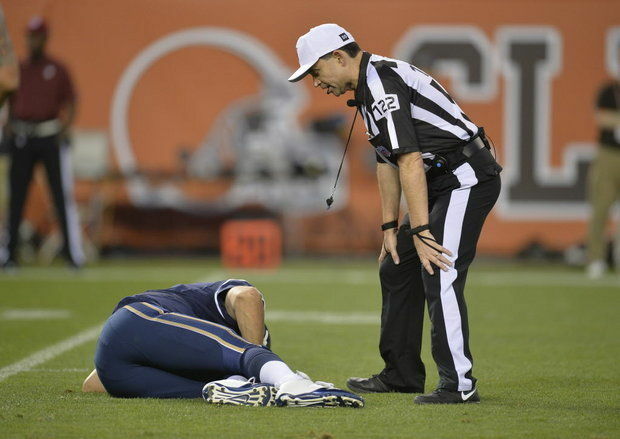 Finally, the Rams seem pretty over-joyed to be rid of Bradford, so what does that say about him? Would we like it if the Browns were a bit more active in free agency? Sure. But we’re not even 48 hours into free agency, there is still time for the club to make some smart signings. Are we bothered that the Browns are not doling out big money in free agency? Nope. After all, they’re only doing what all the smart teams are doing this time of year. And how often can we say that about the Browns? Thank you my friend, you are a quiet voice of reason in a Forrest of fools. The local media is all in a tezzy about the Browns not spending money because now they have to work for their stories. Championship clubs build through the draft and that is a rock fact!